50 fascinating things you never knew about lasers! Home News 50 fascinating things you never knew about lasers! At Subcon Laser we are more than just a laser cutting service with a wealth of cutting machines at hand for both personal and commercial customer use. We are truly dedicated to expanding our knowledge as well as providing visitors to our website with a source of all things laser. It is not just us who use lasers in our line of work; nowadays they are prevalent in modern society with laser eye surgery and laser hair removal, you can of course even embark upon a laser quest! Once upon a time, the laser was a modern and futuristic invention, and while they still are to an extent, we are seeing them used increasingly in day to day life. Following on from our past two blogs, The Beauty of Laser Cutting and the best laser cutting blogs on the internet, at Subcon we have now racked our brains (and done a little research) in order to offer you a number of geeky and fun facts about our favourite tool, which provides our customers with highly accurate and precisely cut products. Lasers now play a pivotal role in our everyday lives – you find them in CD players and they are used extensively in things like tattoo removal. The laser is over fifty years old now and their beams range in type, from gas, chemical, solid state, dye and stimulated electron lasers. They show up in an amazing range of products and technologies, but like any scientific breakthrough or invention, there was once a time when this wasn’t the case. Imagine life before the wheel was invented; here at Subcon, it’s now hard to believe that there was once a time before lasers – because it’s so instrumental in everything we do. We owe our living to them and are obsessed by their varying wavelengths, the particle physics and the sheer breadth of different capabilities that they offer – believe us, they a much more than just a ray of light! 2. A laser is a device which controls the way energised atoms release their photons; the acronym above accurately describes how a laser works. 3. There are many types of lasers, and all have certain features which mean that they differ from one another, for their varying uses. Typically, extremely intense flashes of light of electrical discharges pump the lasing medium to create a large collection of ‘excited state atoms’ which are atoms with higher-energy electrons. 4. To make a laser work efficiently, it is necessary to have a large collection of atoms which are in the ‘excited state’. Generally, the atoms are excited to a state which is two or three levels above the normal ground state – this increases the degree of population inversion (the number of atoms in the ‘excited state’ versus the number in ground state). 5. Before the laser was developed, there was the ‘maser’. This stood for microwave amplification by stimulated emission of radiation. This was based on Albert Einstein’s principle of stimulated emission masers which were used in atomic clocks. 6. 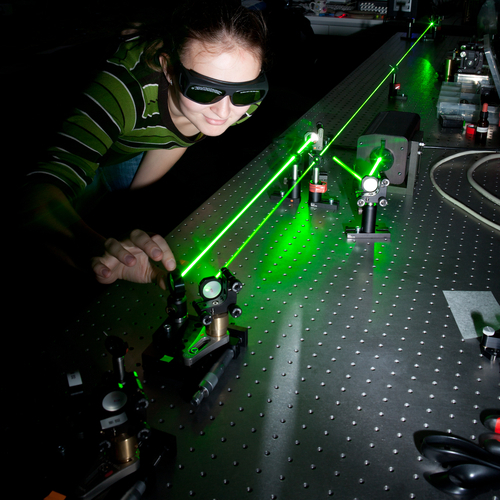 Laser measuring is accurate to more than a nanometre – which is a billionth of a metre! 7. The world’s most powerful laser has the power of a hydrogen bomb. 8. It sounds primitive now, but the strength of early lasers was measured in ‘Gillettes’. This was the number of razor blades a beam could break through. 9. By using a good laser, an object at a distance of 1km (0.6 miles) can be illuminated with a dot of around 60 mm (2.3 inches) in radius. 10. There is now a laser which can detect cancer and diabetes; it is called the ‘breathalyzer’. 11. The light in a laser is more parallel than any other light source; every part of the beam has almost the exact same direction. This means the beam will diverge very little. 12. The most powerful laser ever recorded was at 1.25 petawatts in a Californian laboratory in 1996. 13. You are probably well aware that lasers now appear on just about every DIY tool on the market. 14. Astronauts on the Apollo 11 space mission in 1969 used a laser to measure the distance between the earth and the moon, their readings were accurate within a fingers width. 15. The first time lasers were used commercially was in 1974 when they were utilised in supermarket barcode scanners. 16. The grainy appearance that lasers give off is called ‘laser speckle’; this is why there are usually light and dark patches in the beam of a laser. 17. The ‘laser speckle’ used in speckle holography is very useful; it can be used in vibrational analysis of structures. This is because when a structure under test begins to vibrate, a distinctive pattern begins to emerge in the speckle. This is dependant on the shape of the structure, and which harmonic mode is excited. 18. Scientists are currently experimenting with two foot thick lasers which are used to recreate the conditions of the sun. This is being done at the National Ignition Facility, infact, their facility was used in parts of one of the latest Star Trek movies. 19. Lasers cannot be seen in space because they have no matter. The matter causes the scattering effect which would actually give the appearance of a light bulb. 20. The lasers which are used in technologies like CD, CD-R and DVD players are low level lasers, they are somewhere between 5 mW and 100 mW in strength depending on the manufacturer. 21. Lasers are used in engraving, to destroy and kill tumours and also to remove hair. 22. They have revolutionised things like security and police operations as lasers now only take seconds to scan fingerprints in order to check against huge databases. 23. Lasers are grouped into specific classes for levels of danger. Class 1-5 and if you reach five this means you could suffer permanent blindness and burning skin. 24. When you get caught by a speed camera doing 42 mph in a 40 mph zone, it is a laser which clocks you by bouncing off your vehicle. 25. Laser tag or Laser Quest type games were developed as a non lethal training programme for the US army in the 1970s. These Days laser tag is generally used a a fun day out for the family. 26. Despite some lasers being hotter than the surface of the sun, they can also be used to cool atoms when combined with a magnetic field. 27. 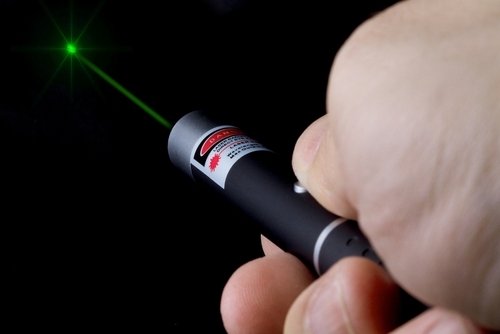 Laser pointers cost hundreds of pounds when they first came onto the market but are now available in most markets for under £1. This is probably why they are loved by lecturers and teachers, not to forget hooligans at football matches who have unfortunately taken a liking to them. 28. Lasers can be used by dentists to remove rot painlessly, while this might be a quick treatment, it is also expensive, so it might be worth considering to brush and floss more thoroughly! 29. Using lasers it is possible to get sequencing information about DNA from a single molecule. 30. Studies suggest that broken bones heal much faster using highly focused laser beams. 31. The worlds very first laser guided bomb was named Bolt-117 in 1967. 32. Lasers have featured in hundreds of films, the most famous being the cutting beam which heads perilously close to Sean Connery’s crotch in the 1964 James Bond movie Goldfinger. This iconic scene has spawned many imitations and parodies, including features in the Austin Powers franchise as well as appearing in The Simpsons when utilised by troublesome duo Itchy and Scratchy. 33. Scientists have long been working on a laser which draws lightning strikes away from airports and power plants. 34. We are now able to manipulate objects using small and focused laser beams. 35. A tiny laser beam can be powerful to etch a serial number onto a diamond, the hardest natural substance which is known to man. 36. A laser beam can be developed to be hotter than the surface of the sun. 37. The first toy to have a weak laser beam incorporated into its design was the Star Trek ‘Phaser’ gun which was first sold in 1979. 38. Laser cutting uses a series of mirrors and lenses to focus a beam into a highly concentrated heat source. 39. The highly concentrated heat source is used to engrave, cut of mark the target material. 40. Laser cutting is a fantastic option because it avoids damage which is commonly caused by mechanical machines such as dragging, clamping, scuffs or tearing. 41. Highly complex designs can be laser engraved onto a wide range of materials with great accuracy and speed. 42. Laser cutting is very economical as the process can be repeated at the push of a button, this means it is an excellent method for both large and small production volumes. 43. The process delivers a clean, sharp finish every single time. 44. Laser marking is a growing industry; it offers a fast and permanent method for marking metal, plastics, leather and many other materials. 45. Laser marking is used in a wide range of industries such as the automotive and medical. In these cases it is used for adding serial numbers, data matrix, UID codes or any other important information to products. 46. Industrial laser cutters (like ours here at Subcon) are used to cut materials for industrial manufacturing applications, small businesses as well as hobbyists. 47. Laser cutting works by directing a high-powered laser (by computer) at the chosen material for it to be cut. 48. When cut, the material then either melts, burns or is blown away by a jet of gas. This the leaves an edge with a high-quality polished surface finish. Laser engraving is an abrasion free process and is completely safe. 49. Much like your standard printer, laser engravers and laser cutting machines are controlled by PC’s. 50. Designs for laser engraving, cutting and marking are created on highly sophisticated software packages. Dedicated technicians work with customers to provide precision cut parts for for all different requirements. 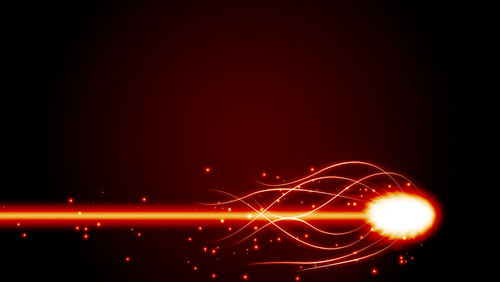 There you have it, 50 fascinating facts about lasers that you might not have known before. Now used widely in every walk of life, lasers are an invention which was once the darling of sci fi movie directors, but should certainly not now be taken for granted. 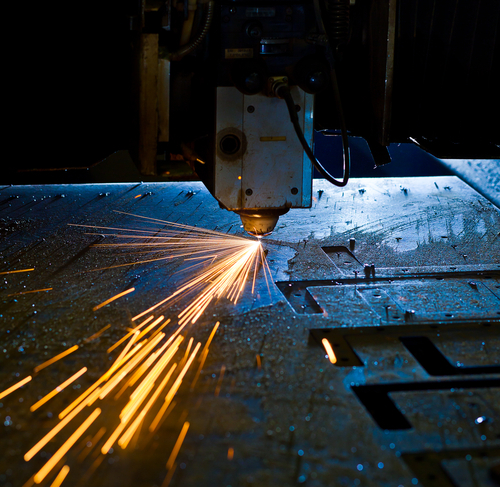 Lasers have many different uses and a variety of different strengths. From laser pens to laser cutting, industrial purposes to medical professions, they are now used extensively across the board, in many different professions and industries. 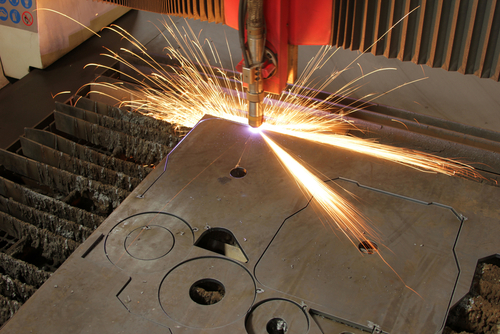 At Subcon Laser, we offer a high end laser cutting service and are proud to offer our accurate and precise laser cutting machines for a variety of different customers. So weather you are looking for laser cut aluminium or precision lasered acrylic, our technical engineers are able to work closely with you so that you can get the part you need. If you would like to find out more about our laser cutting capabilities or require us to work with you on a project such as laser cut wedding invitations for example, please get in touch. Thank you for reading this blog, if there is anything we missed out, or you want to join in the conversation with us, just send us a tweet here!